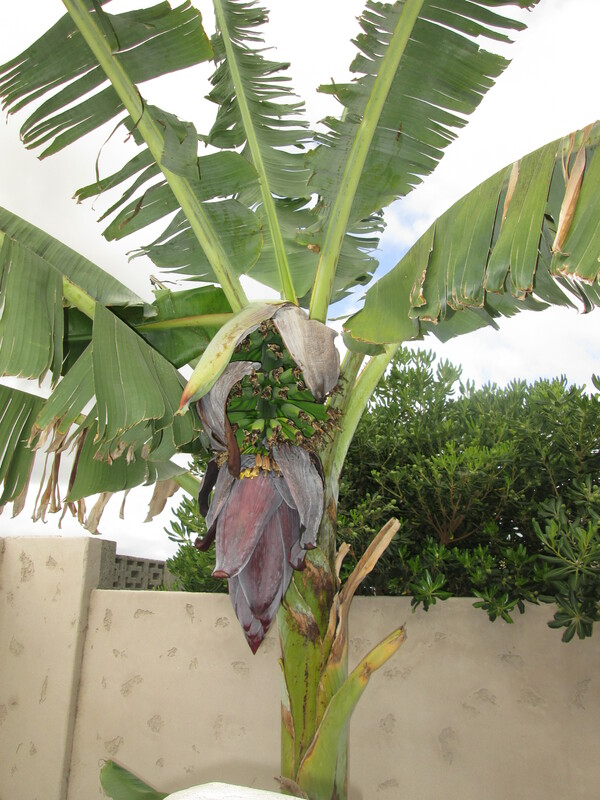 You can see the inflorescence or banana heart on our banana plant! It’s still growing, I think its going to take another month before its ready to consume! 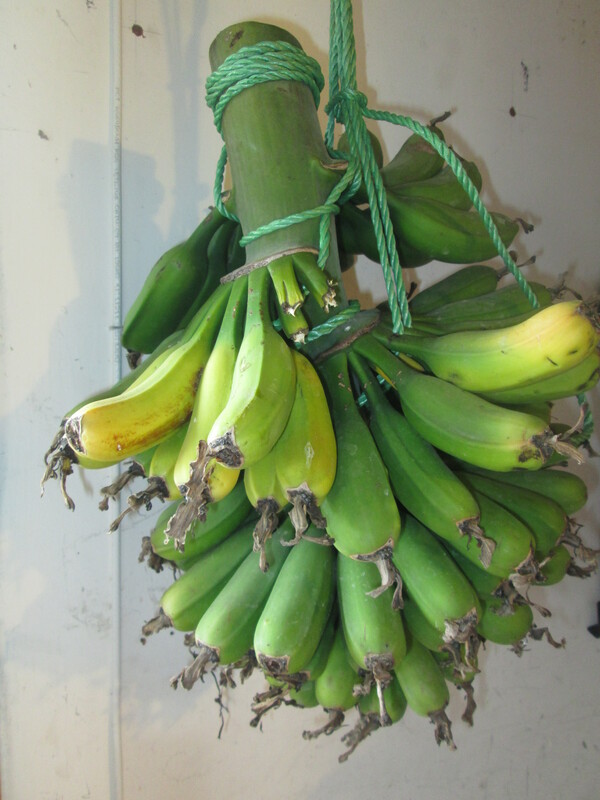 The bananas are almost ready to be harvested, but the bottom layers or the hands of the bunch are not fully grown probably because I was away on vacation for three weeks & lack of water might have halt its growth. 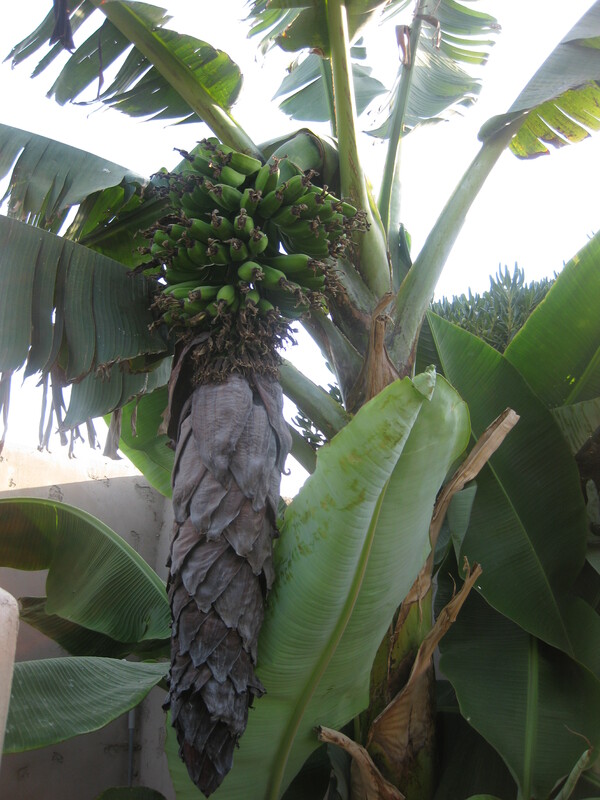 But there are 2 bananas already ripened so need to guard it from birds & opossums! Finally harvested the fruit & now it’s hanging from a hook from where it can be enjoyed as it ripens! 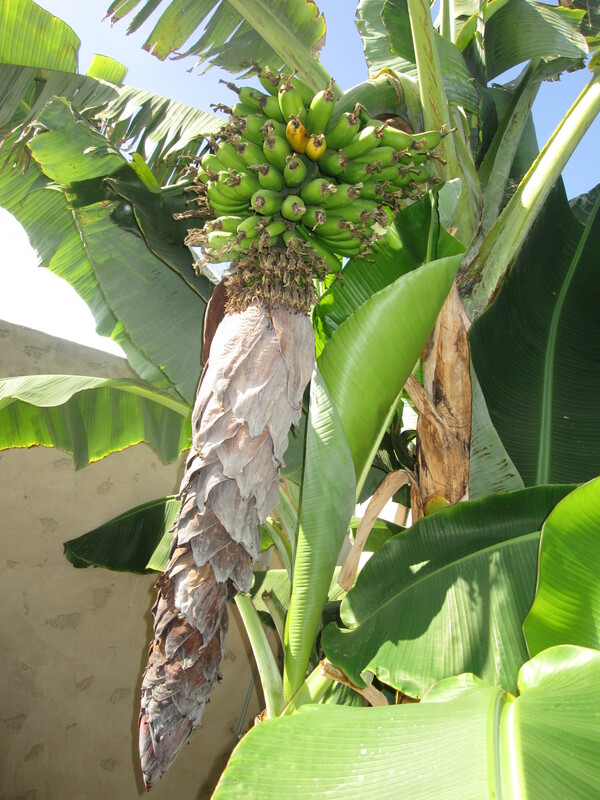 Categories: backyard, fruits, nature, plants, vegetables | Tags: backyard, banana, food, inflorescence, leaves, nature, plant, plantain, plants, vegetable | Permalink.